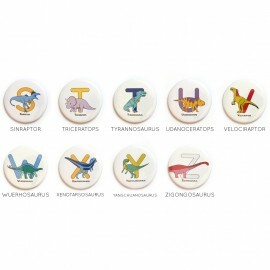 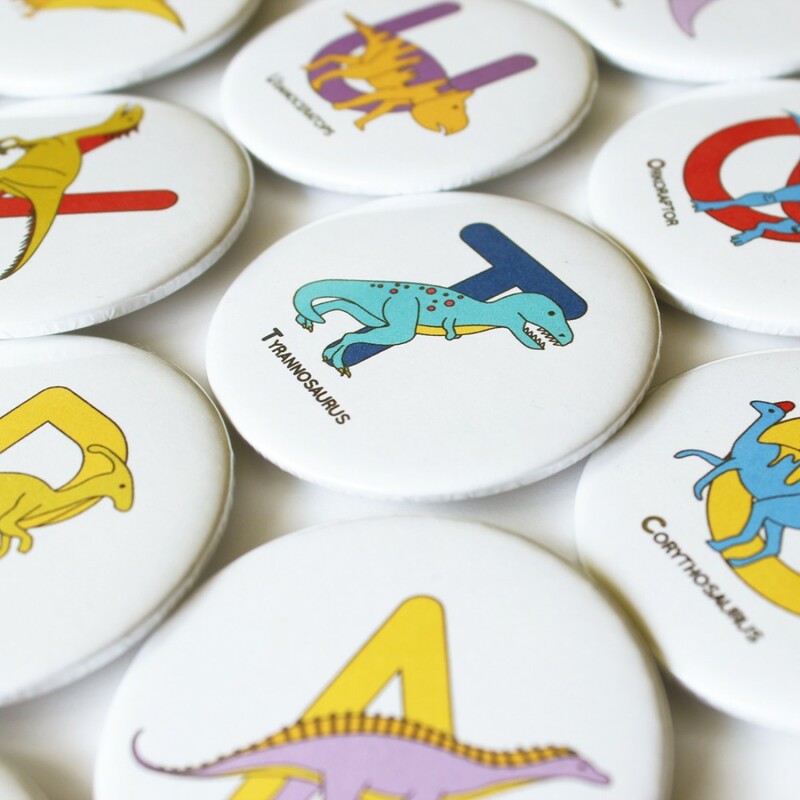 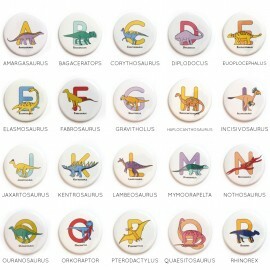 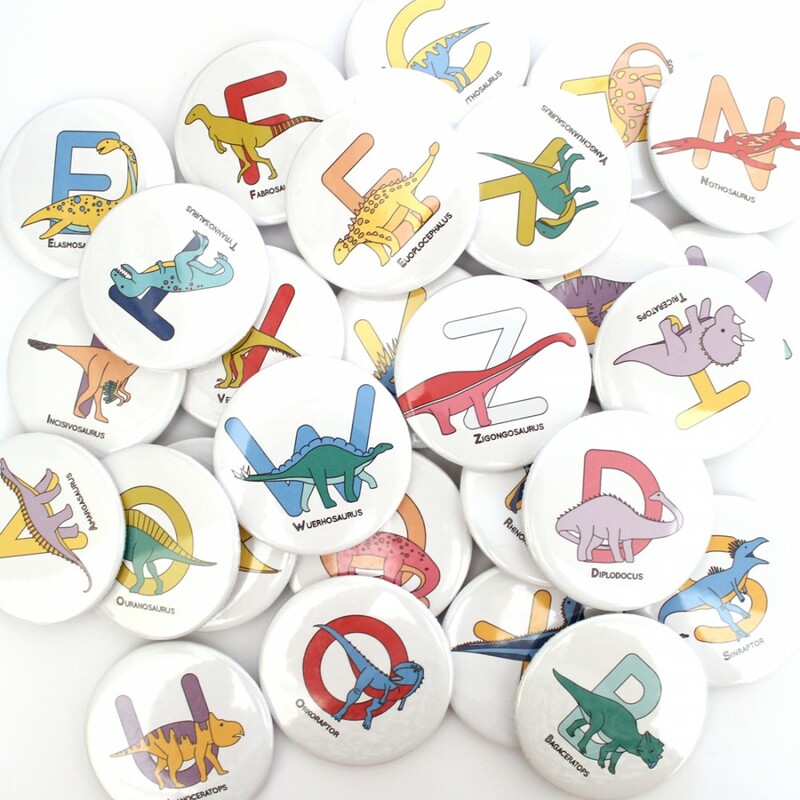 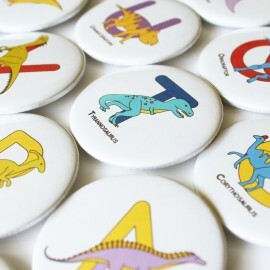 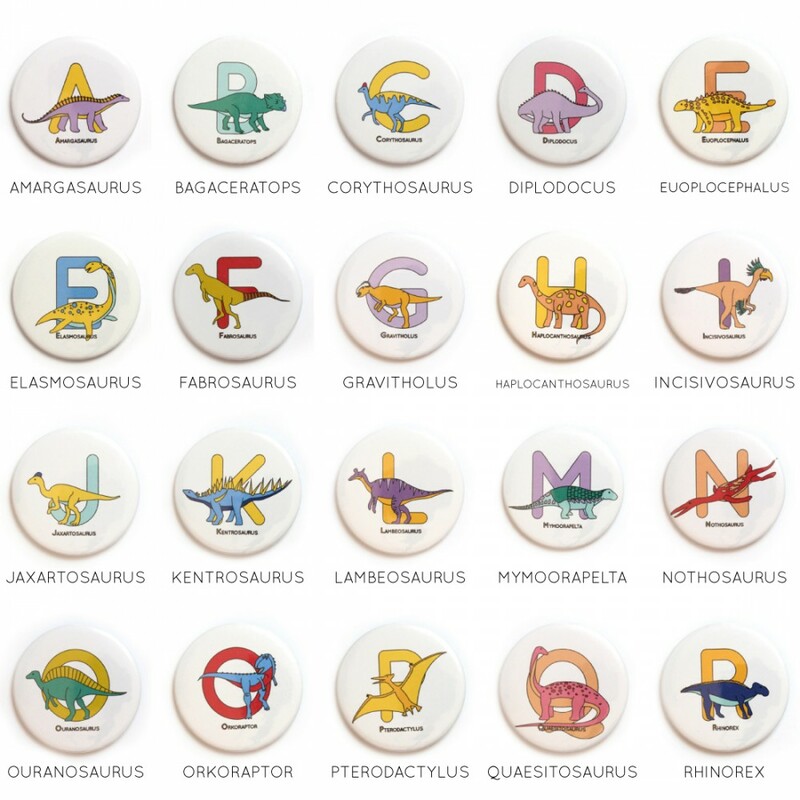 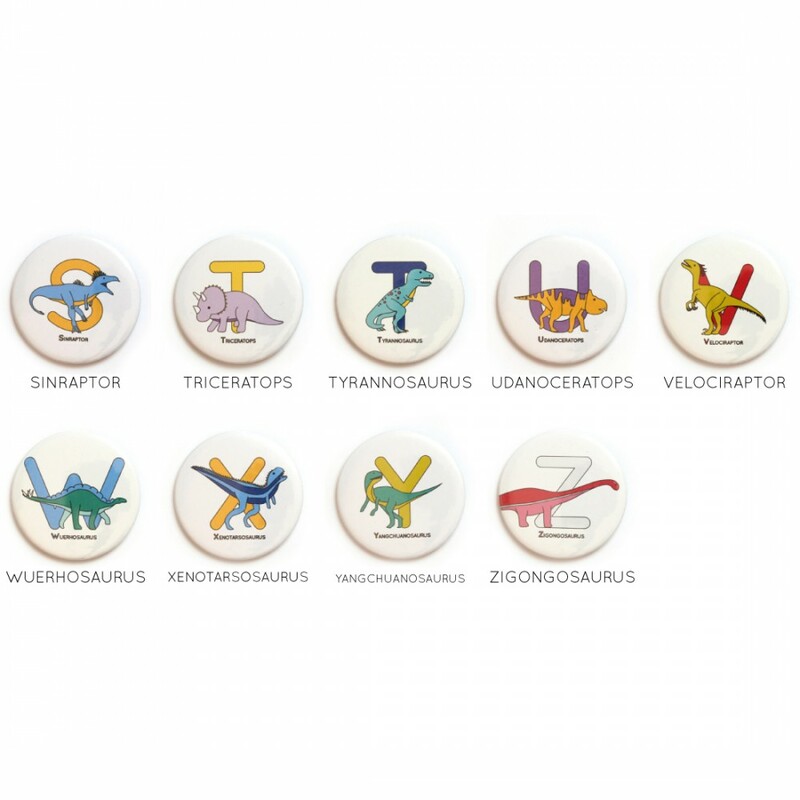 The super cool dinosaur alphabet badges are a great way to add some fun to your jacket or bag! Each dinosaur is on top of a large latter (the first letter of its name) and has its name under it so you can easily identify the dinosaur. 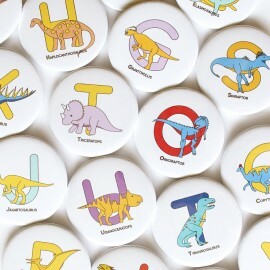 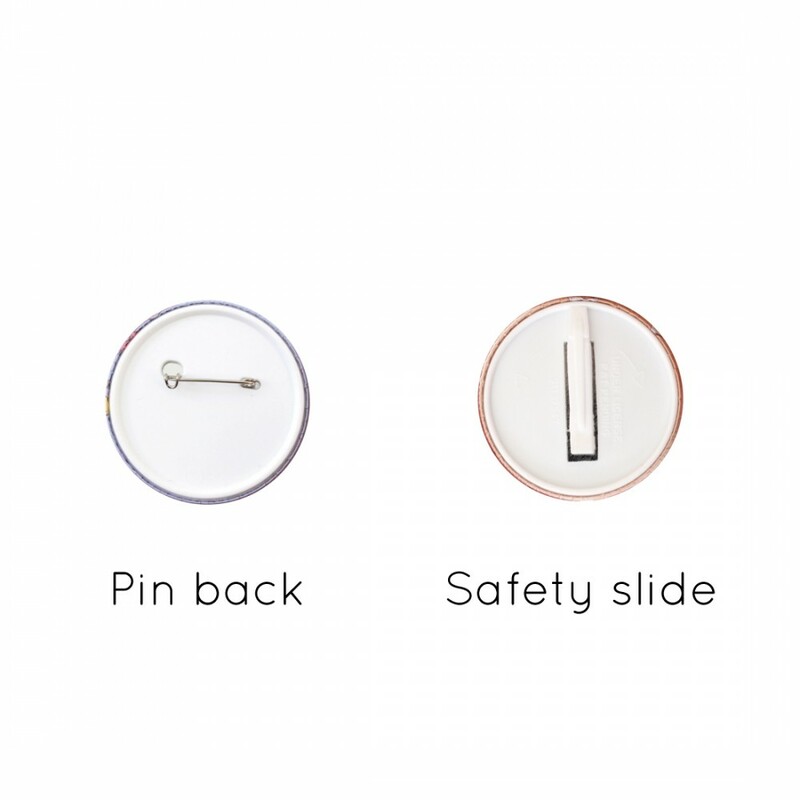 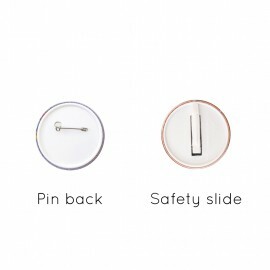 All badges are handmade by me in London.